Combined mechanical and magnetic coding system offer unlimited key variations. Magnetic rollers provide protection from picking Resistant to drilling and pulling, Limitless masterkeying options, No frictional wear, Unaffected by external magnetic fields, European patent pending 2005, Recommended for any complex masterkeying system. European patent pending 2005, Recommended for any complex masterkeying system. Hi guys. 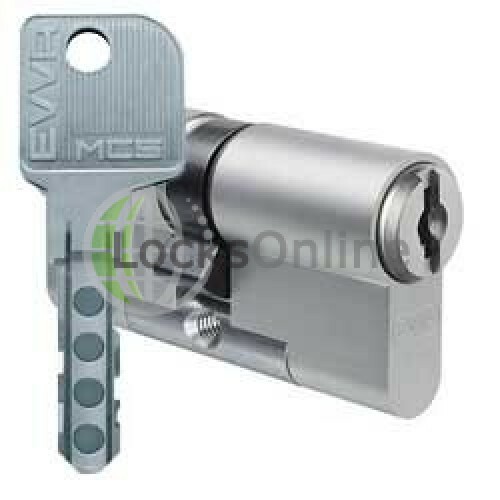 My name is Darrel, and I'm head of the tech team here at LocksOnline.co.uk, and I'm very privileged, to be honest with you, to have the opportunity to see one of these MCS High Security Unpickable Cylinders from Evva that are available on our website. And I have here a broke down version of it to show its functionality, and I want to share that with you today so that you can actually understand just what's going on. The complexity of this particular type of cylinder is just immeasurable, and when you can actually see what's going on within the cylinder when you're taking the key in and out, it amazes me. I mean, I'm a little bit geeky when it comes to locks and cylinders and pin tumblers and stuff like that so I get really excited about that, some people might not. 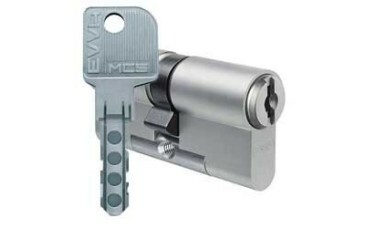 But I wanted to share with you, when you're investing in security, and you want to be 100% sure that the lock that you have on your door is virtually, as far as anybody knows to this day, is totally unpickable, then guys, the Evva MCS HS from LocksOnline is what you need to be looking for. And why? Because it uses magnets out of all things. Let me just show you the key for an example. Just look at the complexity of that key there. You can see these little black digits in the side there. They're actually magnets. So, not only do we have side cuts here as you can see here on the side of the key. And they're on both sides like that, okay? But these magnets here interact with the chamber inside, and I've got to be honest with you, even I'm quite flabbergasted on what is actually happening inside. The trap features within the actual cylinder is just immeasurable. Now, if you want extra keys for these, they have to be ordered direct from Austria from Evva directly. Nobody keeps these keys in stock. And you will only get them through special instruction. When you get this cylinder, it is registered to you. It is the highest degree of security that we can get for you. So that's quite important for you to be aware of that. Now, if you are to look at the cylinder itself, as standard, the modular version here as you can see has got a steel bar at the bottom that helps in the prevention of snapping the cylinder to try and get it out to circumvent it and it's got anti-drillbit... I use this here, we've got some anti-drill bars and so forth that are built inside here, and there are anti-drill bars as well in the head of the cylinder here as well. But, one of the distinct things that I wanted to show you guys is, I don't know if you can actually see there, they've got these four little white star configurations. And what happens is when you put the key in, I'll try and keep this as still as I can, when I put the key in there like that, and I try and push that in, you see that those will all move. And, maybe I've done it a bit too quick. If I pop it back out slowly there you can see that they're all moving. And those black little nodules inside the white are positioned exactly in regards to where the magnets will sit on the actual key. So, I defy anybody to try and manipulate that. It's just amazing. And, of course, it is amazing because these cylinders are like nearly 200 pound a cylinder, so it has to be that sort of security. So, that's basically the operation of it there. And, of course, what you find is that institutions like banks, high security applications, museums where they might have millions of pounds of artwork, they would be using this type of security to knowing full well that that key can't be picked, or it can't be manipulated. If you think that's a security that you need, guys, and it's an investment in your security then you need to be considering the MCS. All of these cylinders are ordered specially for you. Nothing is kept in stock. So, if you're thinking "This is what I want" then you need to be talking with us. If you're looking at a project, you need to be giving us a couple of weeks so we can order these cylinders up specially for you. So, there you go, guys. That's just a little bit of a quick insight into the MCS and its operation and its fundamentals. It'd be best as well that you look at getting the keys, if you want extra keys, when you're ordering the cylinder... say you want 5 keys or 8 keys or 10 keys, etcetera, because it would make life a lot easier for yourself. So, from me, Darrel, and all of us here the LocksOnline team, many thanks for taking the time to have a look at this video. But, if there's something you need to know, if you need a bit more information or a bit of advice or you want a master key these or key them in liking groups, we can do all of that for you as well. Different sized cylinders, no problem at all. We can suit you. It's not you trying to suit the application, we modify it to your application. 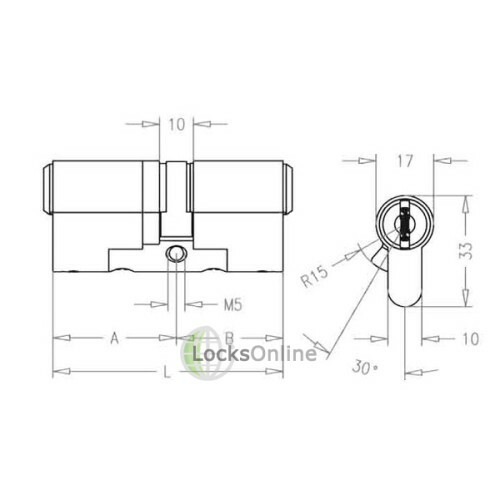 So, that's well worth important and of course, that's some of the services that we like to think that we have as LocksOnline as a team and of course, we've been around 15 years on the internet doing those things and providing that customer service. So from me, Darrel, and all of us here at the LocksOnline team, many thanks for taking the time to have a look at this video, and if you need some more information, like I said, come back and have a chat with us. We'd love to hear from you, and more importantly, we'd love to see you as another customer. So, thank you very much for taking the time. Bye-bye now.